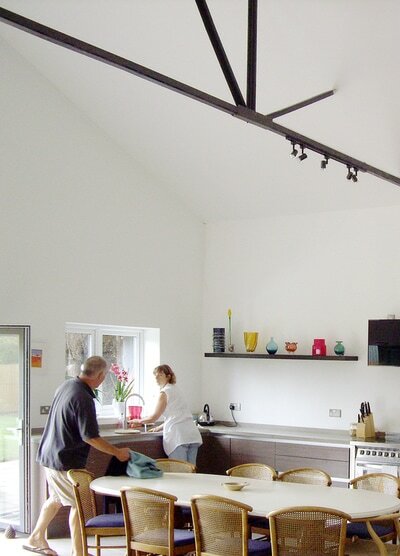 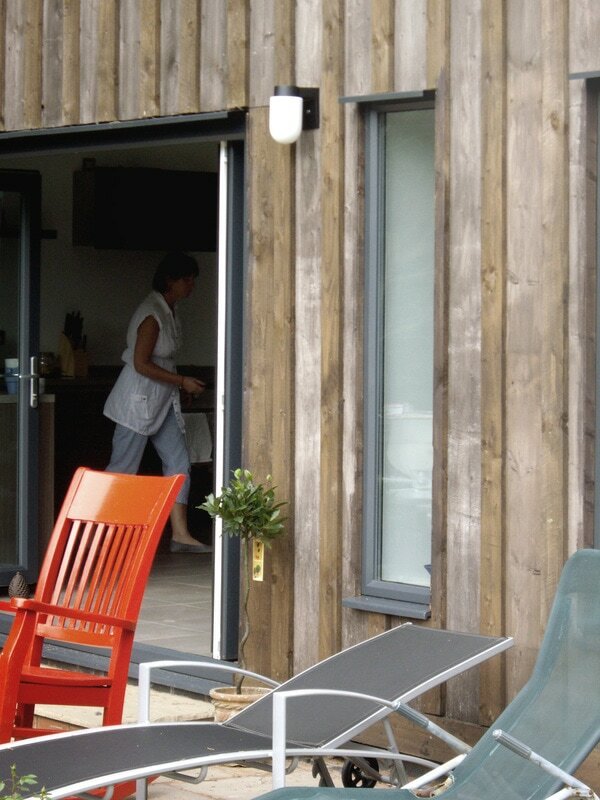 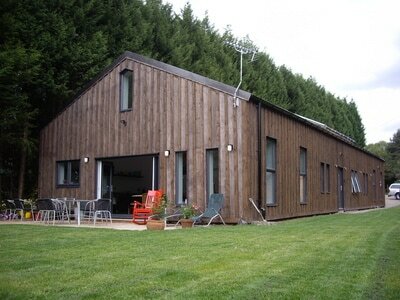 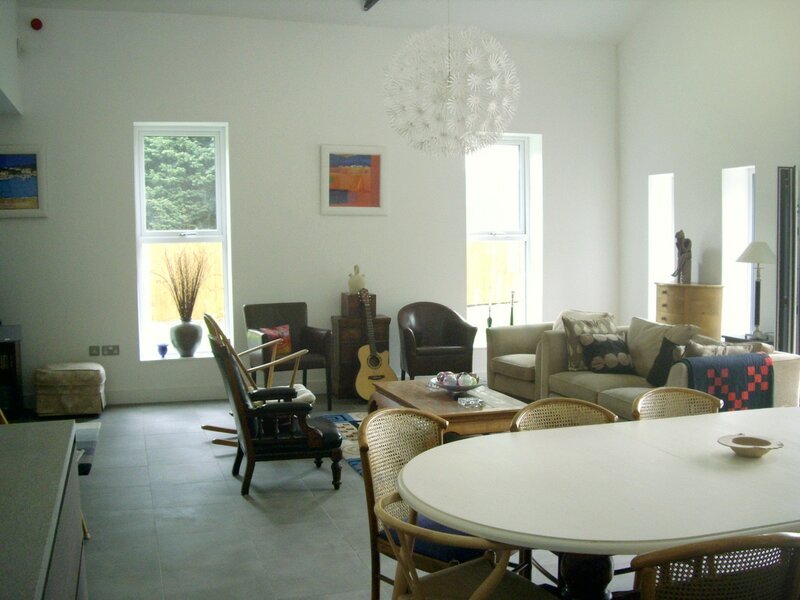 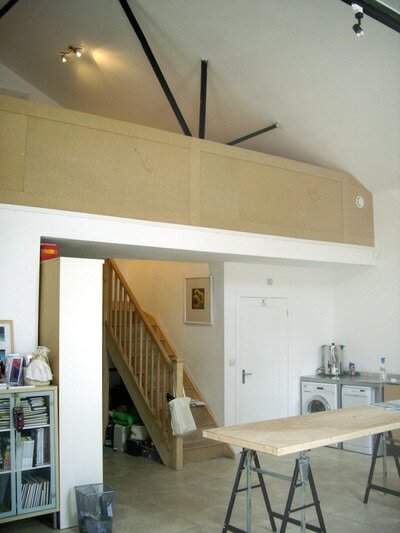 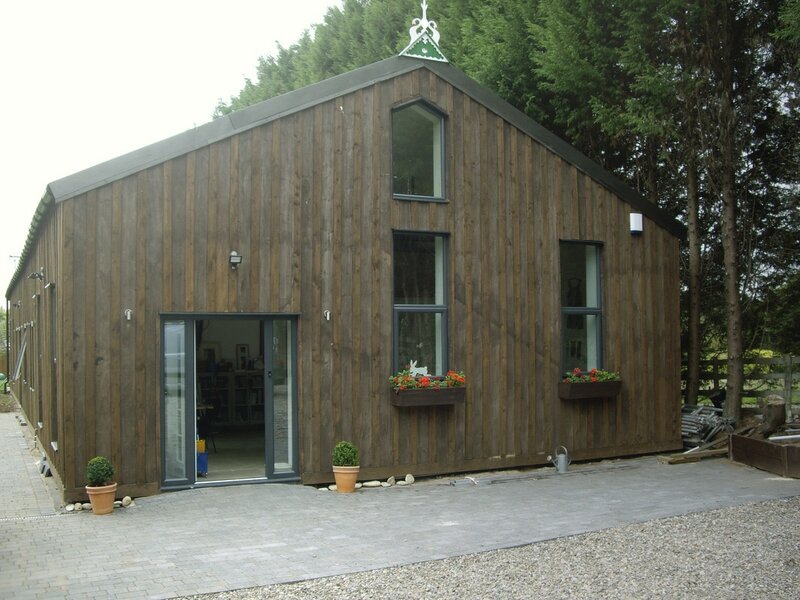 Completed in 2011, this project for a textile artist and her husband comprised the conversion of an existing steel-framed storage building, formerly owned by Birmingham City Council, into a spacious and energy efficient live-work unit in Worcestershire. The design was driven by the client’s desire to complete as much work as possible themselves despite only having normal DIY skills. 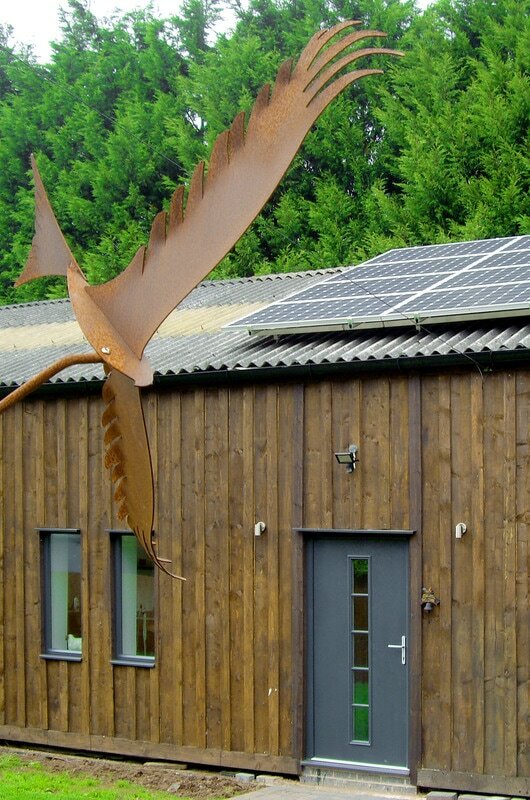 We carefully selected construction materials and techniques to allow this, whilst ensuring that the building’s energy efficiency was not comprised. In fact, the building’s Energy Performance Certificate showed that it had a net negative carbon footprint, helped in part by the installation of renewable technologies, including a wood-pellet boiler.